If you enjoy hot yoga sessions, or even if you just sweat a lot meet your new favorite yoga accessory: Gaiams Thirsty Yoga Towels. 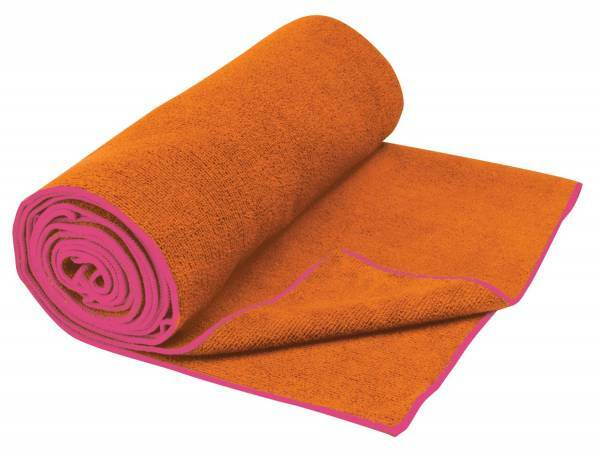 Designed for Ashtanga, vinyasa and hot yoga, our super-absorbent, microfiber mat towel fits on top of a standard yoga mat, wicking away moisture and drying in half the time of a cotton towel. Also available in hand towel size for workout wipe-ups. Easy-care 88% polyester/12% nylon.